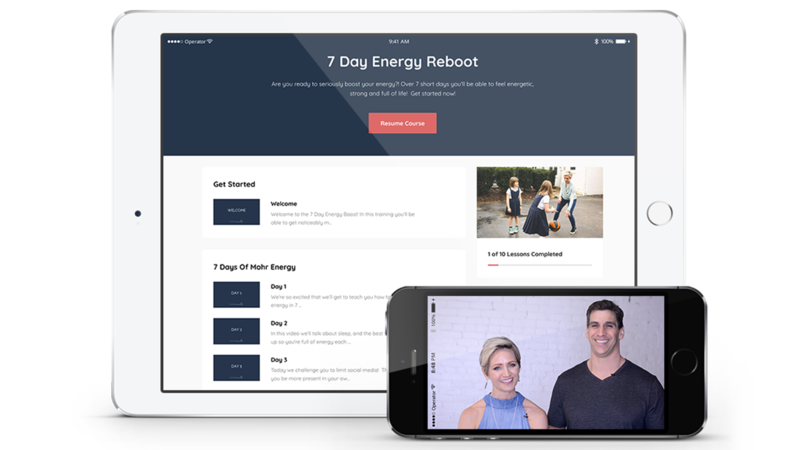 You have 60 days to try the 7 Day Energy Reboot. If within that 60 day period, you are not satisfied for any reason, email us at [email protected] or complete the ‘Support’ form within our Learning Portal. Give us unto 48 hours Monday through Friday to process your cancellation (excluding US holidays). We will email you to confirm once your cancellation is processed. Then give the banking systems up to 7 business days to re-deposit the funds back to your original payment method. Once cancellation happens, you will no longer receive access to the Learning Portal or Facebook Group. Listen, we’re so confident this training will get you more (Mohr) Energy in Just 7 Days that we’re willing to give you 100% of your money back if it doesn’t. No Risk!